We are getting close to our goal weights and ready for at least a bite of fruit… I’m starting to feel like the little engine that could, just chanting to myself that I can do this! On a whole, giving up sugar has helped by husband and I to feel so much better. We have more energy, and even more patience (though not all the time). We have decided though in a few more weeks to add back in fruit in small doses. The plan is to still leave out all grains, breads, and sugars. So just one tweak to help make this a better long term fit. Until then I sit here dreaming of an apple with crunchy peanut butter. 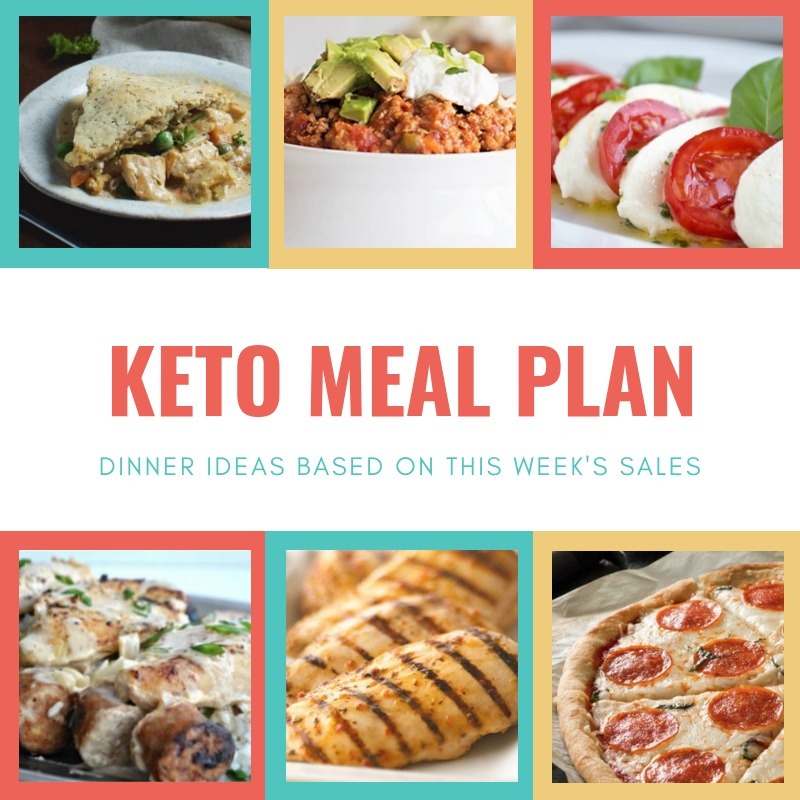 See all of our past weekly meal plans. This is an easy staple as our house and one that I highly recommend intentionally cooking way more than you need. Save the extras in the freezer and you’ve got chicken for lots of other meals (some we will use in a keto pot pie later in the week). 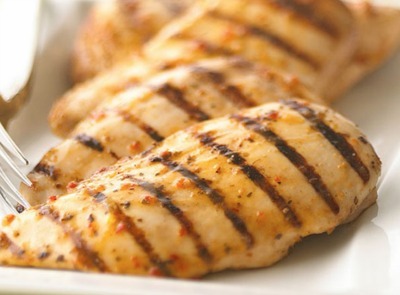 Mix together a tablespoon of lemon juice with 2 tbsp of olive oil, add in rosemary and Italian seasoning. Cover the top of the salmon with this and add salt and pepper to taste. Broil it on high until the internal temperature reads 140 on a thermometer. 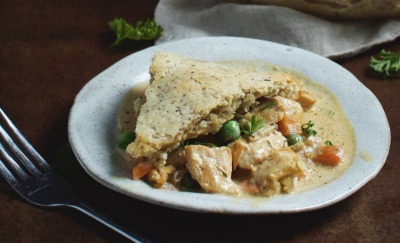 This version still has a crust of some sorts which I’m excited about, most folks just make the filling and call it chicken pot pie… nope it’s not a pie without a crust people! We have a chili cookoff coming up in a few weeks, so it’s time to start prepping. Not being able to bring our normal recipe, this might take a bit to perfect. This recipe is our starting point, though I expect the husband to ramp up the heat quite a bit. 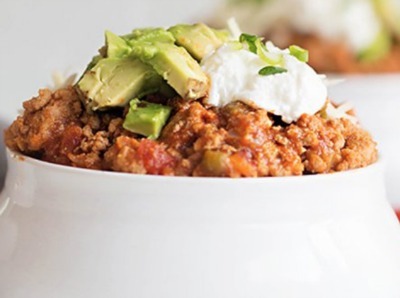 If you have another recipe you’ve tried for Keto chili I’d love to hear it! Doesn’t that look good! To make this Keto, skip the white wine and sub in chicken broth. The kids will get this over rice, and the adults will try out Cauliflower rice… yeah it doesn’t sound the same at all. 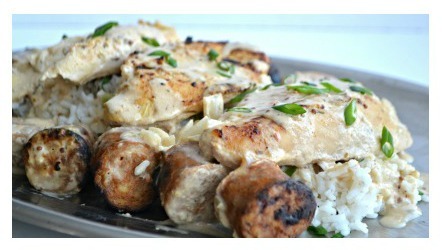 That white sauce is magically going to make it all better! We tried this recipe a few weeks ago and found it to be very close to perfect. 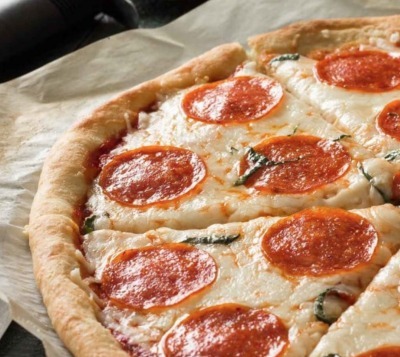 There are a number of pizza crusts that are just reshaping another food to look like pizza, but they don’t have the right flavor at all (like fried eggs, or even chicken crusts). The girls will continue on with our regular No Rise Recipe that is super quick and the big girls know how to make by heart.